The main goal of Philly Phairytale is to provide a completely free prom dress to young women who otherwise cannot afford one. High school is such a crucial time for young girls to build up their self esteem and at that age, prom seems like the most important night of a young girls life. It’s so important that each girl gets to experience prom and feel beautiful. I had the pleasure of interviewing the founders of Philly Phairytale, Cassandra Foley and Julia Chiango. Cassandra and Julia are both cheerleaders for the Philadelphia Flyers where they met and quickly realized they both wanted to do more work for the community. They were both on board to start their own organization which is when Philly Phairytale was born. I’m (Cassandra) from Baltimore Maryland where I was very involved in the community. When I moved to Philly I found a friend who shared my passion for community service and love for her city. 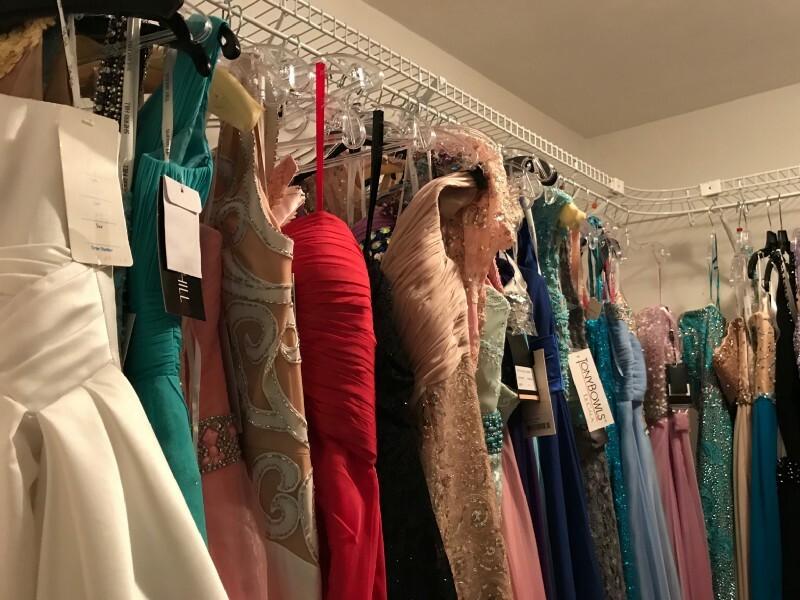 After tossing around several ideas about how to start their own business that could help young women in need, the idea of collecting gently worn or new prom dresses to donate to girls who can’t afford one seemed like the perfect way to go. Our dress inventory has grown so quickly and is continuing to grow. We have realized that we also need to focus on raising money for supplies and office space, so at the moment we are coming up with creative ideas to fundraise. So how exactly does your organization help people? Can you tell me a story about a person that you helped? We are coming up on prom season so we are planning to host three pop-up shops at three different Philadelphia schools where each girl who qualifies will get a free dress. This obviously is not easy work. What drives you? The fact that we are the faces behind the name that will impact hundreds of young women in such a positive way on a night that they will never forget. We have both had so many positive influences who have shaped us into the women we are today. We both share the same gratitude towards the Philadelphia Flyers organization as they have allowed us to get involved in the community and help with local events. -It’s expensive. Filing all of the proper paperwork takes time and is very expensive, office space is expensive, proper storage is expensive. Additional expenses arise that we didn’t originally plan for. -It takes a lot of time. Although we knew that starting Philly Phairytale would take a lot of time to build up, filing the paperwork with the government takes months. The wait time to get the completed paperwork is a lot longer than we expected. -Finding monetary donations is tough. Finding people who are willing to donate money, and who want to invest in the business is hard and something we are actively working on. -Starting a non-profit is so much like starting a regular business. You still have to file paperwork and you need to have money coming in in order to afford supplies and office space. -Filing government paperwork properly is harder than you may think. Luckily we have had an accountant who has donated her time to help us through the process! Pink or Taylor Swift. They are both from the Philadelphia area and are powerful, inspirational women. They have had a positive impact on so many people across the globe and we aspire to impact as many people as we can, as well.